For a majority of gamers, back pain is an issue, but lumbar support isn’t always the first included feature in a gaming chair that gamers look for. Gaming chairs are mainly picked and bought for they way they look. This is why Racing chairs like DXRacer have taken off. DXRacers look cool, with cool cutouts, winged shapes, and leather finishes (see this guide on them here). If you’re here, you probably know something about lumbar support and the value it can bring to a healthy back. Sure each one of their chairs comes with a “lumbar support” pillow and headrest, but does that count? I have tested the DXRacer Sentinel in my review, and while I found the general shape of the back support not bad–the included lumbar support pillow felt more like a brick than a boon for my back health. There doesn’t seem to be any other form of ergonomic adjustment in the back design. Because of this, I’ve seen plenty of gamers complain about the lack of lumbar support in DXRacer chairs as their primary point of contention. In this article, we are going to discuss which gaming chairs have the best lumbar support and which chairs don’t qualify. I’ll also discuss what defines good lumbar support and how you can alleviate lower back pain while gaming. Visit on Amazon	 Visit Amazon. Visit Amazon. Visit Amazon. Visit Amazon. Visit Amazon. Visit Amazon. Is Lumbar Support Possible in Gaming Chairs? First, we need to define what a gaming chair is. A gaming chair could mean different things for different people. Is a gaming chair a racing-styled chair, or is it something that is just ideal for long computer gaming sessions? Is it something meant to be used by the couch, or is it something that could double as a work/office chair as well as being used for gaming? Defining the term gaming chair can be subjective, but for me, I define the phrase gaming chair as a chair that can be used for a good gaming experience. Whether you’re raiding in WoW, shooting noobs in CS: GO, or managing to get a Pentakill in League of Legends, you don’t want your back to be hurting. This doesn’t mean that the chair has to look a certain way, cost a certain price, or have a certain branding. It just has to be comfortable! Having good lumbar support is almost a sure way to ensure a comfortable gaming experience. 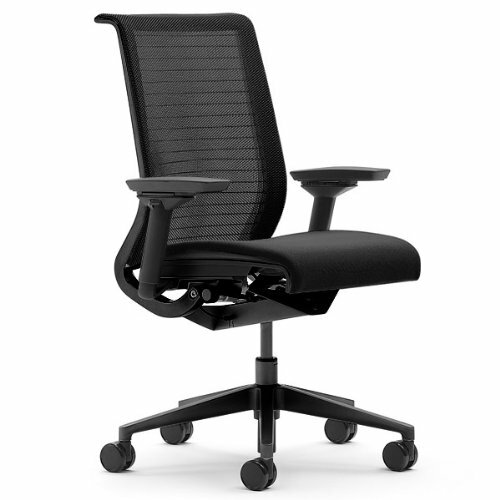 The Leap has good lumbar support built into it’s design and ergonomically curved back. Lumbar support is the part of the chair that hits bottom / middle portion of your spine. This is a common part of your back that experiences pain since it’s often unsupported by flat surfaces or concaved by improper posture enforced by cheap chairs. Sure some chairs that are expensive have decent designs, and to be honest, I found DXRacer chairs OK for basic comfort– pleasant for most of the day. The back design–however is just straight, so they aren’t very comfortable for sitting up super straight. You kind of have to lean back far and hunch–so the straight back design is more inclined, but this can make your arms stretch out too far which was my issue. But if you’re craving the best gaming chair with proper lumbar support, you are going to have to think ergonomic. When a chair has proper lumbar support, you can sit up straight and feel supported without feeling pain in your back. Ergonomic chairs have backrests designed to be a specific shape, whereas other chairs don’t have these features. They might try to mimic the design with a pillow, but when you use an ergonomic chair with lumbar support, you will see what I mean. Chairs with lumbar support usually have a slant to them, but they also have various adjustments that you can use. You can adjust the force of the lumbar, so it either hits your back strongly with hard support, or less intrusive support. 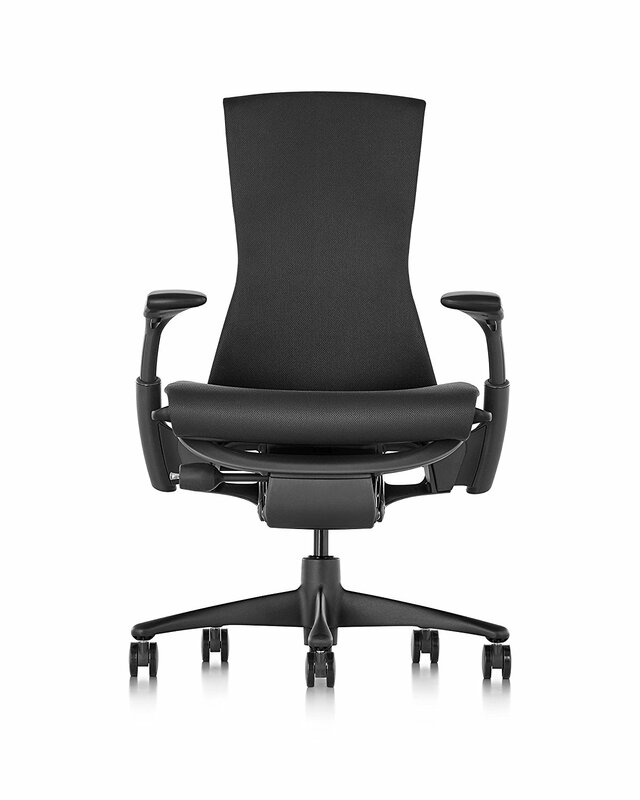 The lower back is usually fairly straight, and then the chair levels off in a curve, so it’s comfortable for your back. The Steelcase Leap has innovated in some ways, but I think the most important way it has achieved excellence is through its back support. I recommend this chair to people since most people love the chair and it’s very recognizable as a good chair for lumbar support. The Leap has crazy brilliant back design with an ergonomic slope and adjustable lumbar support that hits your back perfectly. You can sit straight and game hard, or lean back and still be supported since the seat adjusts accordingly with your back. The Vertagear Gaming Series Triigger 275 is probably one of the only gaming styled chairs out there that actually functions like a proper ergonomic chair. The reason is that it has all of the ergonomic adjustments you’d need like adjustable arms, adjustable seat depth, as well as an adjustable lumbar support. The chair is built with quality materials like steel alloy, calf skin, and mesh that will keep your experience pleasant even in hot conditions. If my friend hadn’t given me this chair for free, I would have never heard about it. 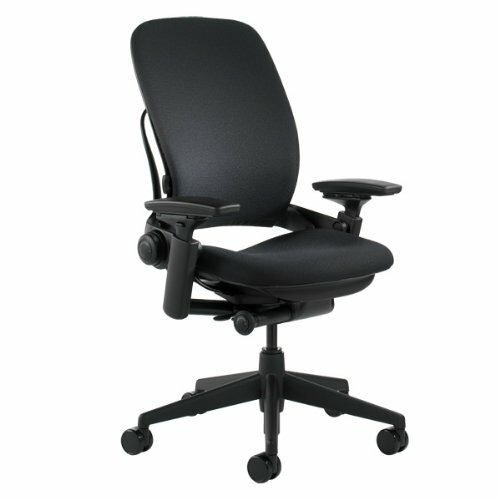 Brands like Steelcase and Herman Miller almost have monopolized the ergonomic chair space with their unique designs and intuitive adjustments, but there are still a lot of good ergonomic chairs out there that we haven’t heard about. Unfortunately, it can be a hit or miss to order some random ergo chair from a website, but this chair is a hidden gem. Since the back height is so adjustable, you can configure the lumbar support to be perfect, and you can also adjust the tension. I find that the Office Master Chair IU79HD is perfect once I found the right adjustments I liked. You can kind of sit in the IU79HD however you want, and the chair feels less confined and strict about how it wants you to sit in than some other chairs I’ve used like the Aeron and Leap. It’s probably one of the most adjustable chairs on the market since you can even completely remove the arms (I have done so to play Piano and games easier). While not as popular as the Steelcase Leap, the Steelcase Think is a wonderful chair with a more minimalist light-weight style. While I’ve never owned this chair, I try to sit in it every chance I get when I visit local retailers that sell this chair. I think the chair looks great and sitting in it is a very intuitive experience since the chair can be adjusted in so many different ways. 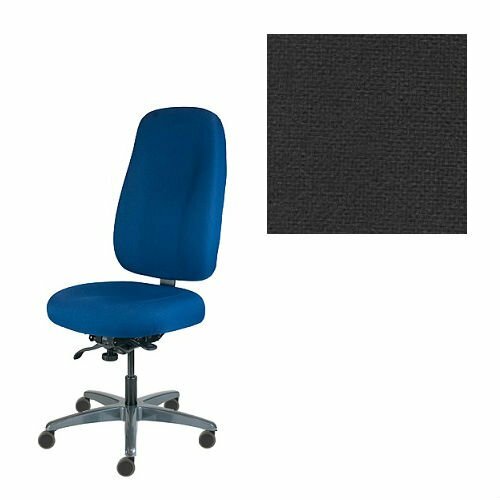 The pressure exerted on your back is controlled with a rotating dial and your lumbar support can be adjusted easily and accurately. I think the Think doesn’t get enough credit for being one of the best gaming chairs with lumbar support. Herman Miller’s Embody chair is one of the most creatively designed chairs, and you can tell a lot of work went into the design of the chair. If Iron Man constructed a chair, it might be this chair. The back is constructed from interlocking parts that support every part of your back–so you can be sure your lower back pain will go away and you will game like a KING. This is one of the most expensive office chairs, but a lot of popular gamers and tech leaders like MKBHD rock this chair in their setup. 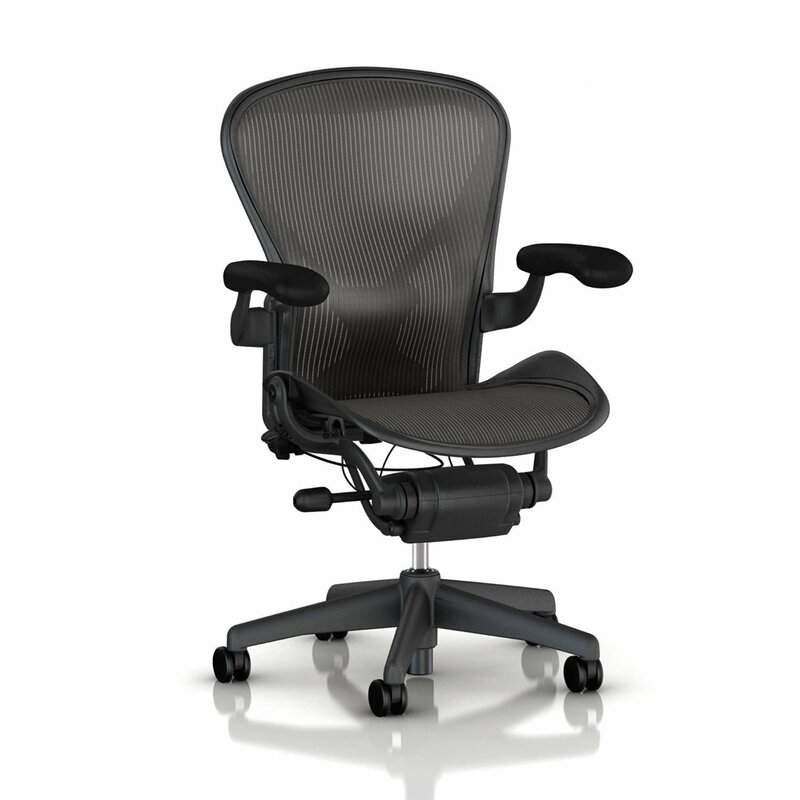 Lastly, I do want to mention the Herman Miller Aeron. I use to own one, but it was the first generation which used a lumbar pad for the back which–in my opinion, was a terrible way to implement lumbar support. Since then, I guess the company has decided to shift away from this lumbar pad into a better lumbar solution that feels MUCH better. I think the Aeron is a bit overhyped, and the Leap, Think, or IU79HD could be more traditionally comfortable, but the Aeron does have a certain “gold” posture position, and it’s one of the few high-end gaming chairs I’d recommend for lumbar support that uses mesh as a material. Keep in mind that this mesh could be good for hot weather, but its been known to be super tough and can wear down your pants or hurt your leg with it’s “mesh tightness” if you sit in unconventional seating positions. Anytime someone wants a recommendation for gaming chair that has lumbar support; they have limited choices, and those choices and recommendations center all around high-end ergonomic chairs since they just have the best back and lumbar support. DXRacer chairs are great for relaxing, and decent chairs overall (here’s a good guide on them) but they don’t have the best back support or true ergonomics. Whether you have hurt your back, or you are tired of paying a lot of money for lacking products, these chairs in this list will serve you well for 10+ years! If you want to see a complete list of my chair journey, check out this guide here. What Is the Best Gaming Chair For Dota 2?